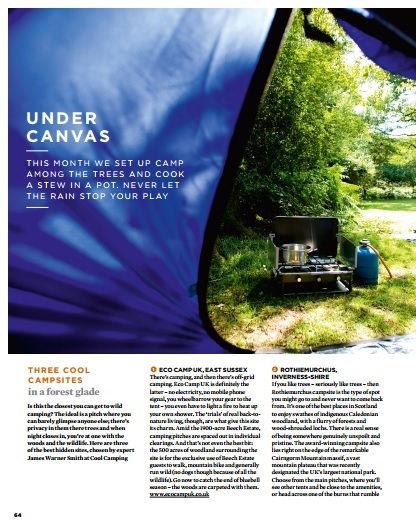 The simple pleasures of forest camping in the UK and campfire cooking are celebrated in this article from The Simple Things magazine. 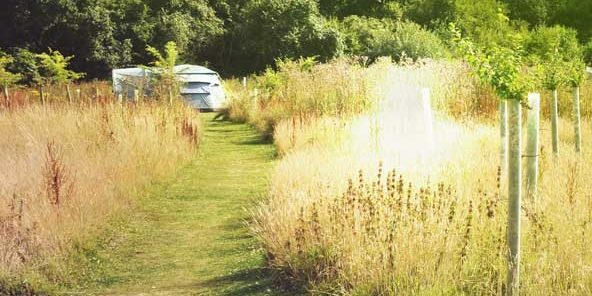 The lifestyle magazine asked camping expert James Warner-Smith to pick three cool campsites in a forest glade. The Secret Campsite at Beech Estate Campsite (formerly Eco Camp UK) was one of them. According to the article “The trials of real back-to-nature living, though, are what gives this site its charm.” We couldn’t agree more!